So how much does a Walk-In-Tub Cost? This is an easy question to answer once a trained Independent Home Products, LLC Walk-In Tub specialist is able to inspect and measure your bathroom space. Your Walk-In Tub price will be valid for 30 days from the date of the inspection so there is no obligation to make a decision that day. 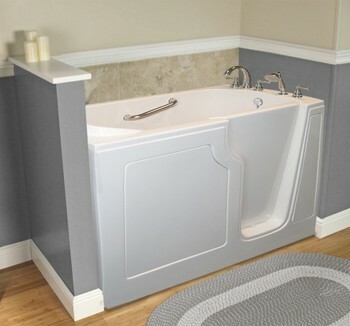 Independent Home Products, LLC Walk-In Tubs is here to provide you with a quality walk in tub and offer you affordable pricing to meet you specific needs. How is your plumbing configured? How is your electrical configured? How many doorways are there from your front door to the bathroom door? Does the Walk-In Tub require an outward swinging door for wheelchair accessibility? How is your bathroom configured? Are there any windows in the your bathroom where the walk in tub would be? Do you currently have a tub/shower combo? Do you suffer from any medical conditions like arthritis or circulation challenges? What other features do you need for your Walk-In Tub? What is the size of the person(s) that will be using the Walk-In Tub? How tall is the person(s) that will be using the Walk-In Tub? Call today for a free, no obligation in-home estimate at (262) 226-2036. We look forward to helping you get an accurate and affordable price for your quality Independent Home Products, LLC Walk-In Tub.